Opa! Greek domainer on top of the world! :DomainGang Opa! Greek domainer on top of the world! This past weekend, Mike and his fiancée Maria became husband and wife, tying the proverbial knot after a lengthy courtship. The young couple has plans to go on a trip to Greece, to celebrate their union. In Greek Orthodox tradition, holy matrimony is a union blessed by the Church and God. 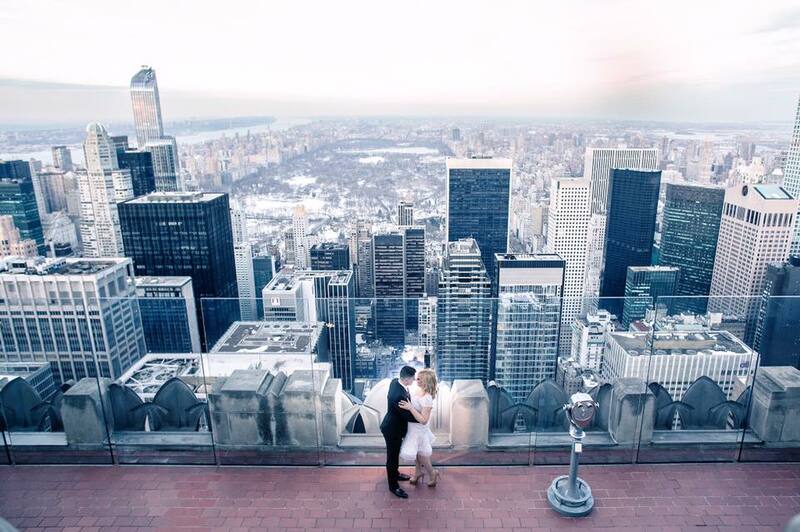 Posing with his lovely wife Maria, who is also of Greek heritage, Mike shared with us a breath-taking photo from what appears to be the Empire State Building in New York City, overlooking the magnificent Central Park. Mike and Maria Bahlitzanakis, on top of the world. Congrats to Mike and Maria!